Hello again Villains. I missed you. What are you thinking? How come you didn’t call? Oh my God you think I’m fat don’t you? DON’T YOU?!?!? Yep, it’s going to be one of those blogs. So, we just got done with the very epic, Shakespearean origin of Jack Knife and Brick House and now we move to the multiple generational tale of the Cross. This one is really cool Villains and I know Tobe is going to rock your world on this. Alright well, I’ve run out of things to say but because I’m the writer I like to make it look like my blogs are long. That way it looks as though I’m deep and insightful but really I know that if it looks really long most of you will skip it. Be honest how many of you read the first sentence and just look because I typed LOOK HERE in big letters? It’s okay, I want you to read the story more then my random thoughts because unlike Matthew, I never have a plan. Okay, that should be long enough (That’s what she said!). This really is a great origin. I down play it but truly Villains, I’m starting to get good at this. Till next time evil-doers! 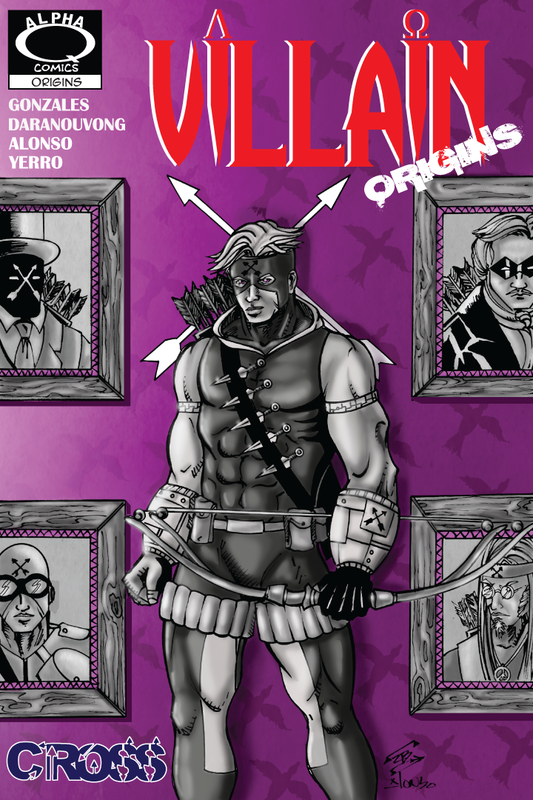 The VILLAIN team would like to welcome and introduce you crazy villains to new series colorist, Paul Yerro!! Click his name to check out more of his work! This cover was colored by Paul and he’s excited to show you what he’s got! Paul will handle the coloring duties from this point forward. We know that you LOVE Tobe’s coloring but fear not! He will still be handling most of the series’ covers. I never said you were fat. I am just wondering why you were wearing the dress. . . I like to feel pretty. Don’t you judge me!